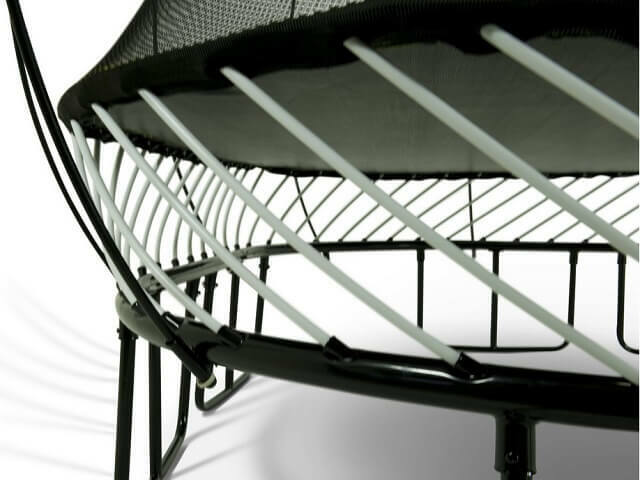 Advertising as world safest trampolines, SpringFree Inc. implemented the “No Spring” technology with only one purpose – to eliminate injuries caused by hitting and hard part on trampoline. While this is huge benefit of owning this trampoline, it is not near being an only one. 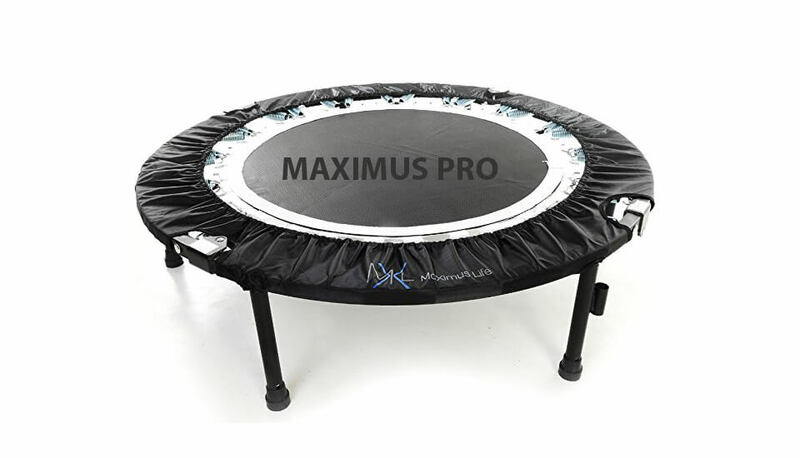 Modern look, huge jumping area, longevity of trampoline itself, long warranty, availability of replacement parts and last, included FlexrHoop (basketball board) and FlexrStep (ladder) make this trampoline fantastic purchase, for any age and gender. Handles structural load of incredible 1100 lbs, which is more than 500 kg. 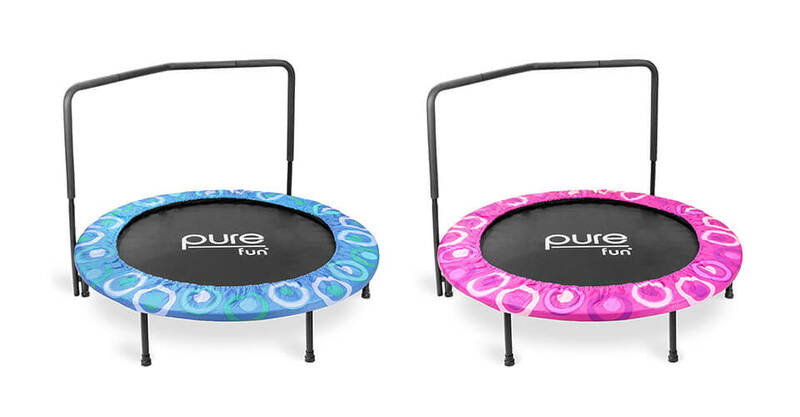 Double layer of powder coating on pre-galvanized steel ensures that rust will never happen on this trampoline. 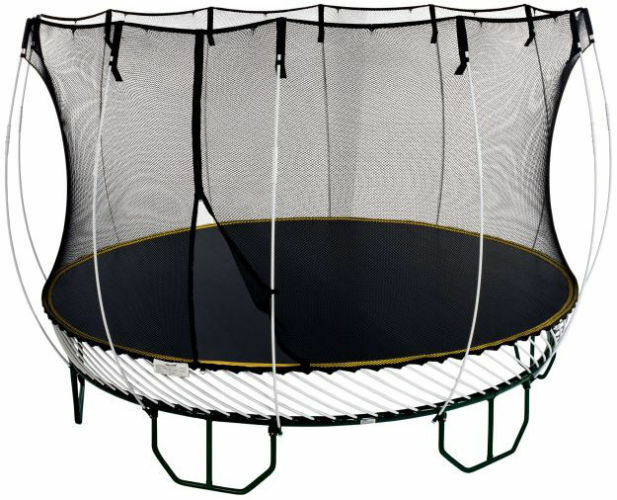 According to other owners which had it for several years, complete trampoline, not only the frame, looks just as same as the day they bought it. 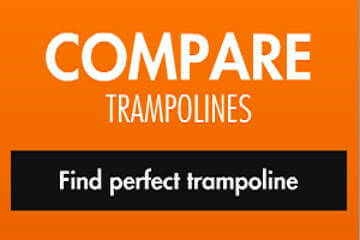 As all SpringFree Inc. trampoline have no standard steel springs, instead of which they use fiberglass rods. While this fantastic idea greatly lowers chances of injury (as much as 35%, according to research about injuries involving frame or springs), it also drastically increases price of product. Bounce quality? 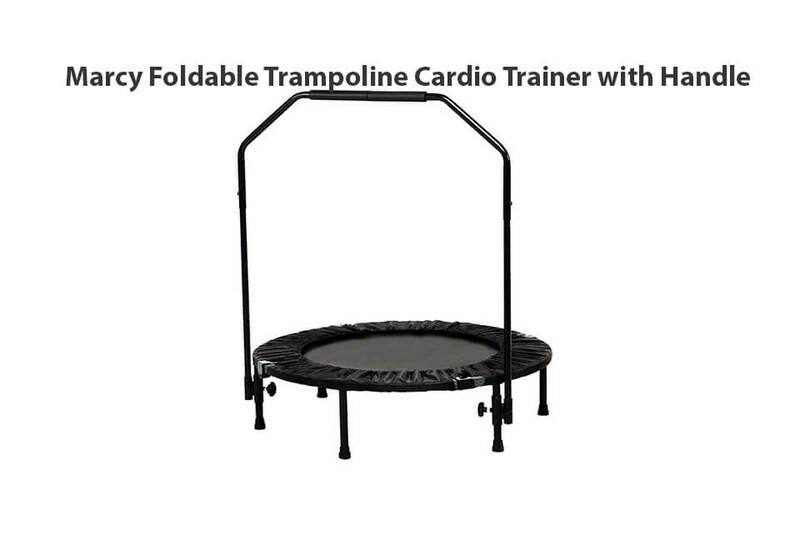 We have nothing bad to say as it is close to being best among recreational trampolines, but there is place for improvement (I am 190 lbs and had no problems passing the top with my feet). Regarding quality of rods, you can expect that they will hold at least 5-6 years, after that around 20% of them should need replacement. 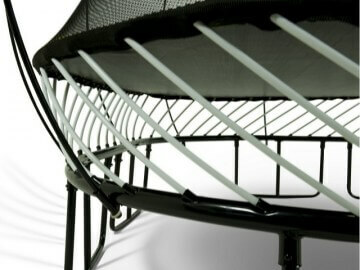 In total there is 60 fiberglass rods on this trampoline. 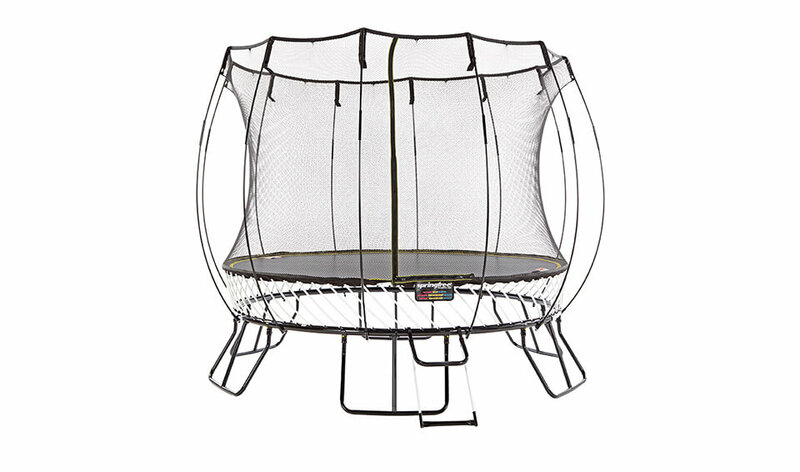 Mat on Springfree oval trampoline is made from Polypropylene, and offers 92 sq. ft. (8.5 m2) of usable space. Mat end, which is all around connected with rods, is made from soft-edge technology, meaning there is no any hard parts to hit. Made from PolyProylene, same as mat, guaranteeing longevity. 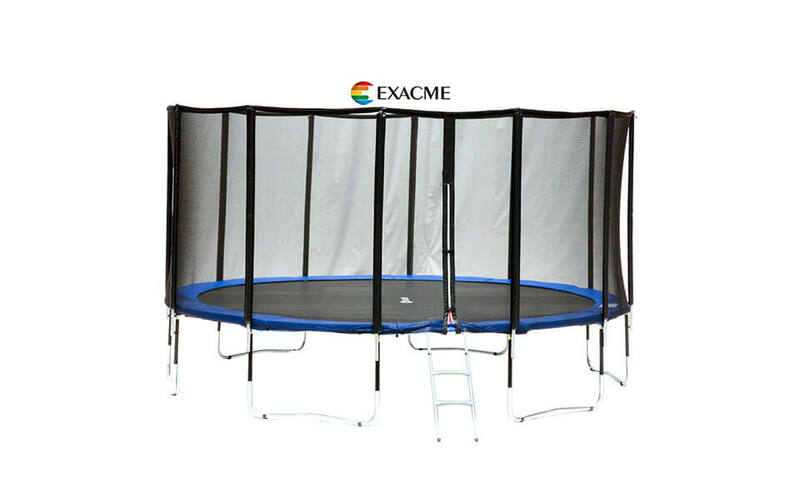 Enclosure is made from SpringFree proprietary FlexiNet invention, where there are no standard steel poles, increasing jumpers security to the maximum level. 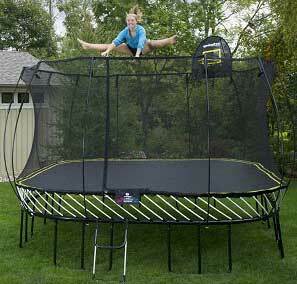 There is 12 enclosure rods also made from fiberglass, strategically placed all around trampoline. As fiberglass is very strong but flexible, there should`t be any problems regarding breaking them, even if you think that so thin rod can`t withstand that amount of force. Also, they are not straight but curved, leaving a lot of space for enclosure to be stretched without even touching the poles. 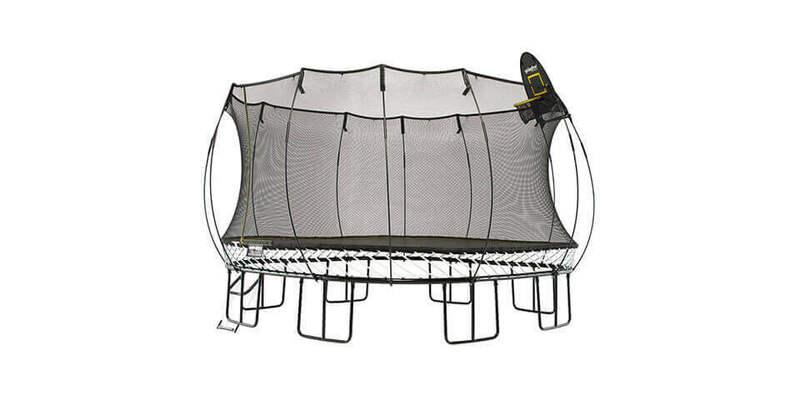 Assembly of this trampoline is time consuming process for which you need at least three hours (declaration says 8, but this is probably only a case when one person, without any help, tries to assemble this trampoline. Assembly is pretty straight-forward when you stick to manual, with only one flaw – step 7, which explains how to install rods is a bit strange, if not impossible. Manual says to install rods on one side and then on alternating side, but if you follow this you will have huge problems pulling mat on other side. Anyway, first put in 6 rods as shown in the instruction manual and then go around skipping 6-7 holes. 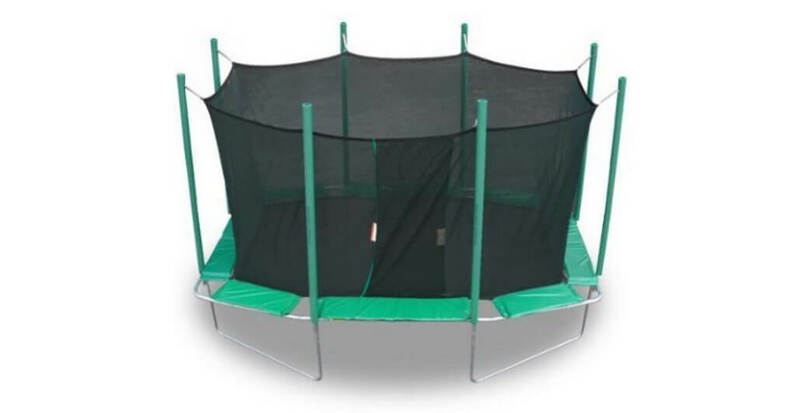 Doing it like this you will get trampoline mat evenly positioned and easily connected to all rods. SpringFree offers two types of warranty: First is basic warranty where you get 4 years on frame and 1 year on all other parts. Second is extended warranty and it doubles warranty period, e.g. frame 8 years and all other parts 2 years. 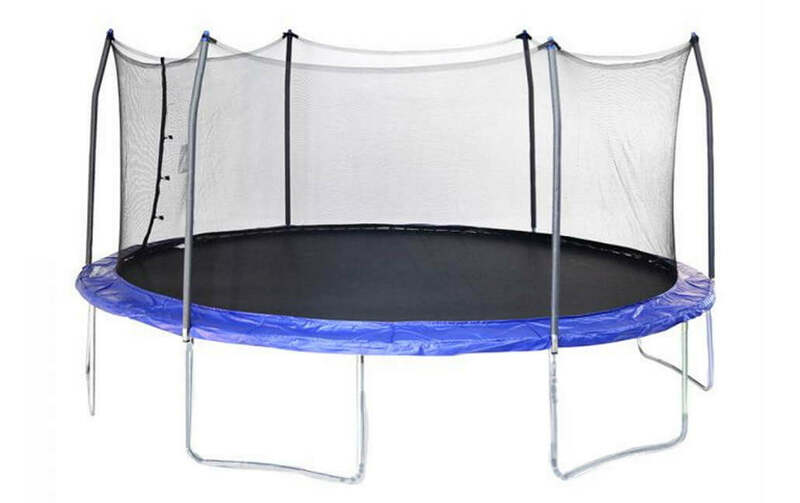 Extended warranty can be obtained for free, only thing you need to do is register here and provide certain info about trampoline – Name, address, trampoline model, serial number, date and place of purchase and scanned purchase receipt. 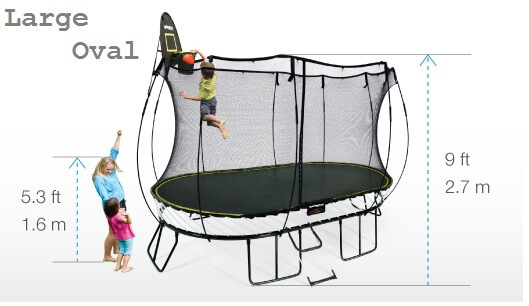 One of the safest trampolines on the market *Notice: Not any trampoline is 100% safe. 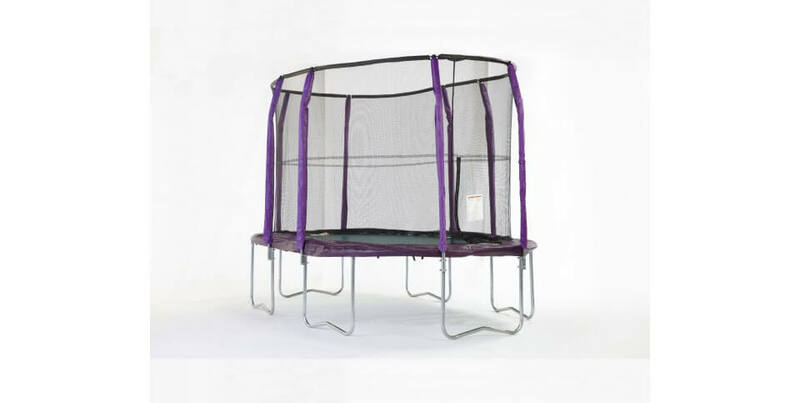 Mat should be treated after 2 years with special fluid sold by SpringFree Inc.
As SpringFree Large Oval Trampoline is one of the safest and best trampolines we still had some issues which lowered it`s final rating. First, assembly manual is not so clear as it should be, probably due to Assembly service which SpringFree offers (charges around $300). 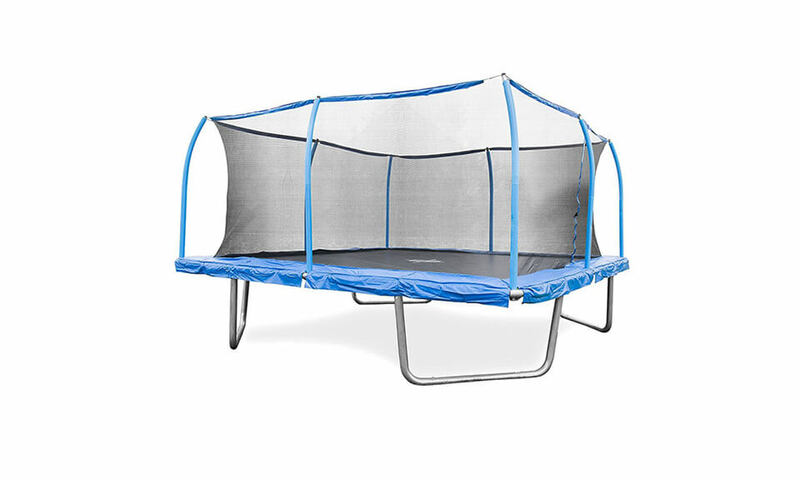 Second is price - while this trampoline probably is worth of it, trampolines with that size can be bought for 3 times less money. 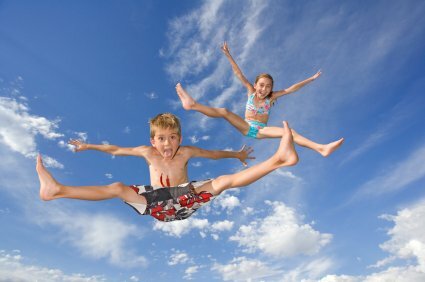 But as benefits stand on SpringFree side, it`s final grade is in top 10 we ever gave to trampoline. Recommended to buy!